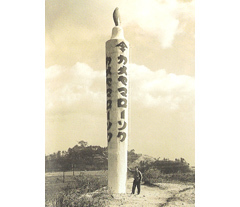 * This is an image picture, these kind of sushi candles on a sushi board are not on sale. You can light it! But, don't eat it, even if it looks delicious ! 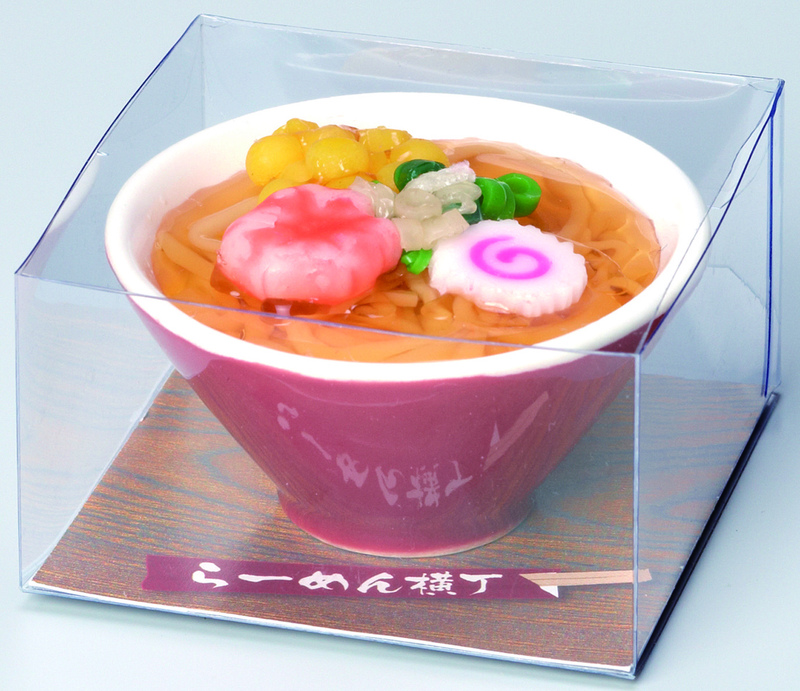 We all know that many Japanese restaurants have plastic food displays in their windows which is very realistic food samples, and they are distinctly part of the Japanese culture. 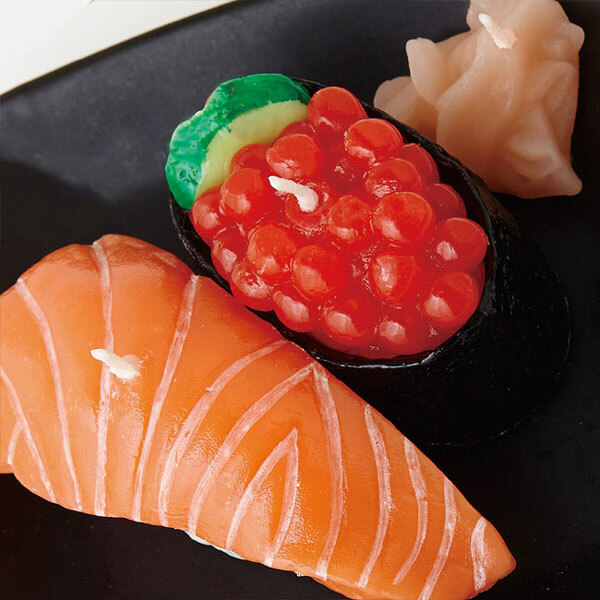 Now, it comes a new artistic one made of candle wax twist, these miniature pieces of Japanese cuisine candles will certainly give your home for a special kind of look - just be sure not to eat them by mistake! 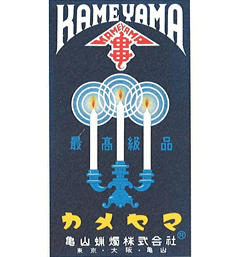 A Long-established Japanese candle & incense maker Kameyama Co. recently announced the newest addition to their line of "favorite treats" candles that look like popular Japanese cuisine. 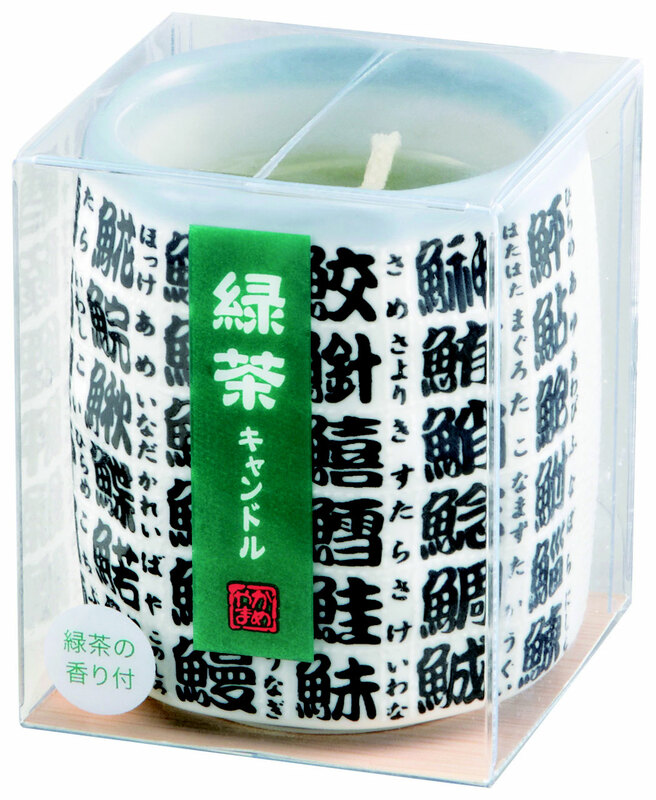 Actually, Kameyama produces many other interesting items in the “favorite treats” candles line, however as a first step, we are introducing following 4 items, "sushi" (ikura & salmon), "green tee", "ramen noodle" and "edamame". 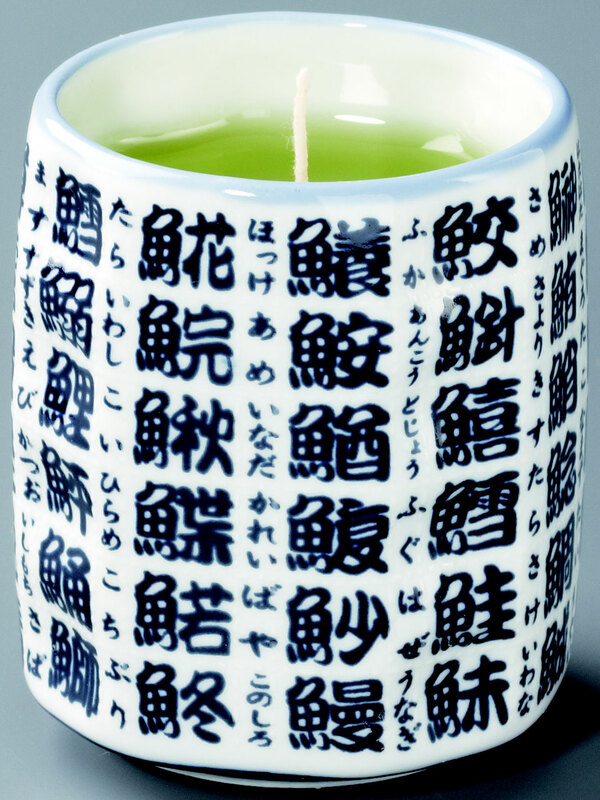 Just looking at the pictures, as you can see, these candles are created by Kameyama so carefully and with great detail! Isn't the detail amazing don't you think? 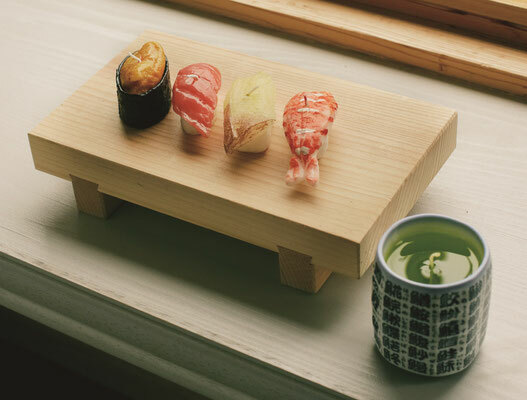 * These kind of sushi candles, sushi board and Beer candle are not for sale. Just for a image. 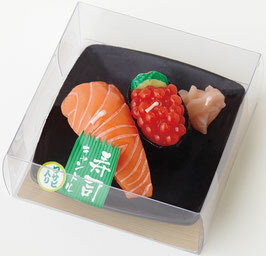 Sushi candles, set with shiny caviar, salmon and beside pickled ginger of course! Green tea cup made from pottery seems to be filled with liquid! 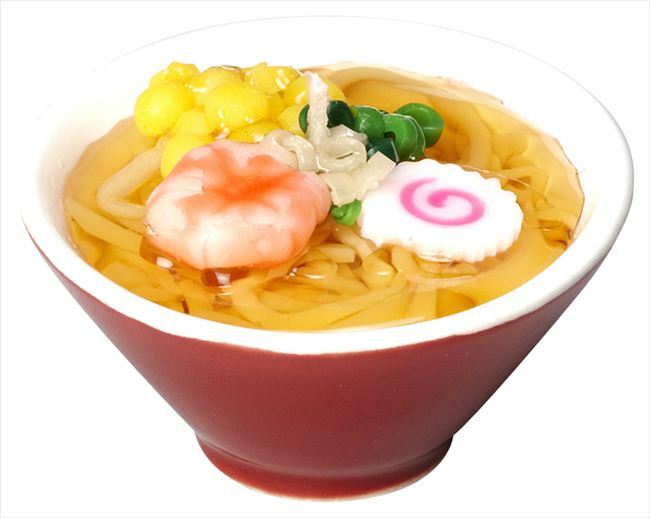 Ingredients of Ramen are created into its realistic shapes! 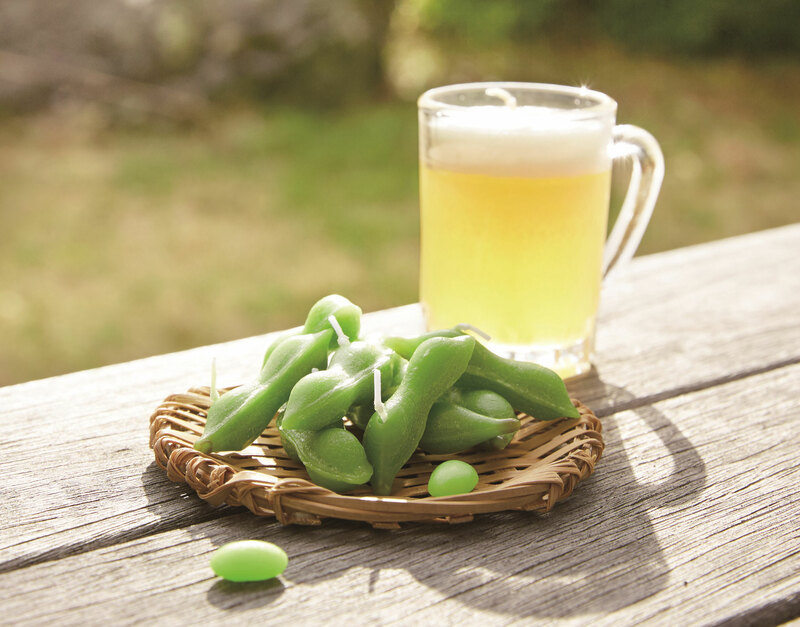 Edamame beans look good enough to eat! 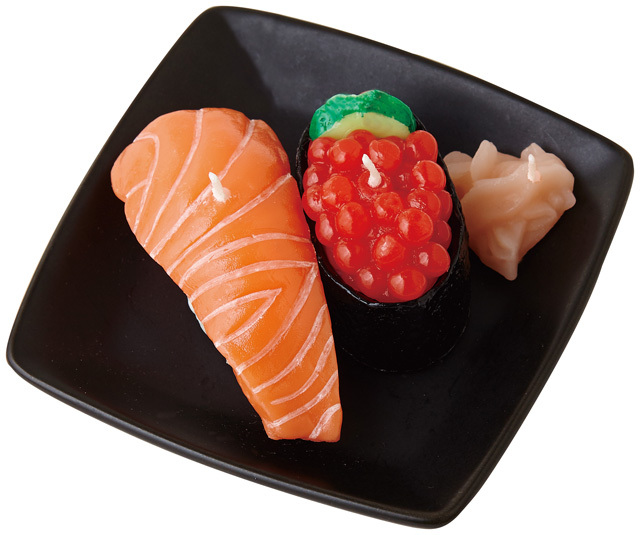 A set of 2 pieces of Sushi candles (salmon and ikura-caviar) with a sushi-ginger candle on a genuine pottery plate. 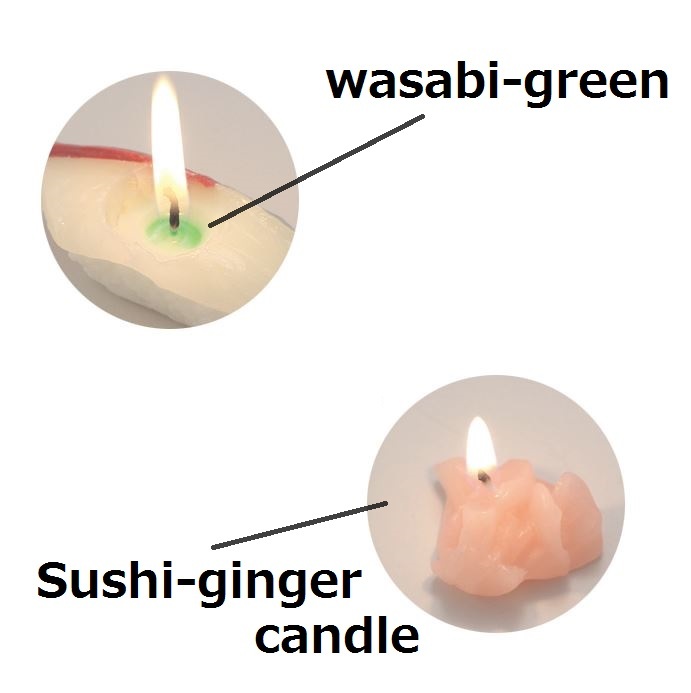 More surprisingly, while burning the salmon candle, something green which represents wasabi will be appear. 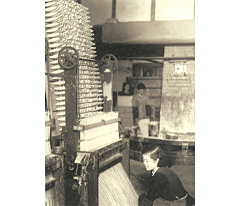 It is just a sense of passion and a highly accuracy as the manufacturer Kameyama! 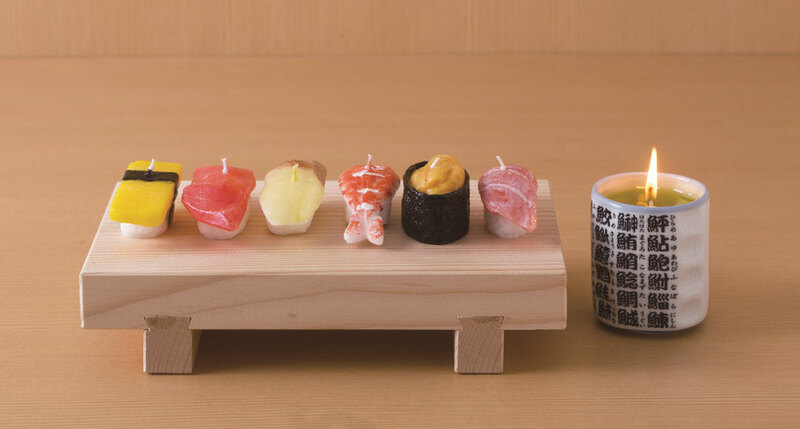 Enjoy a candle-lit night with these awesome sushi candles! 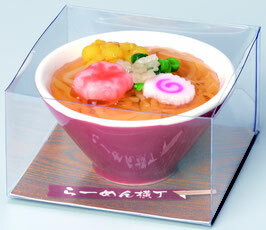 Perfect novelty item for any lover of sushi. Coming in a real pottery Japanese tea cup and with extreme attention to detail (check out the color of the green tea like a transparent "liquid"!). 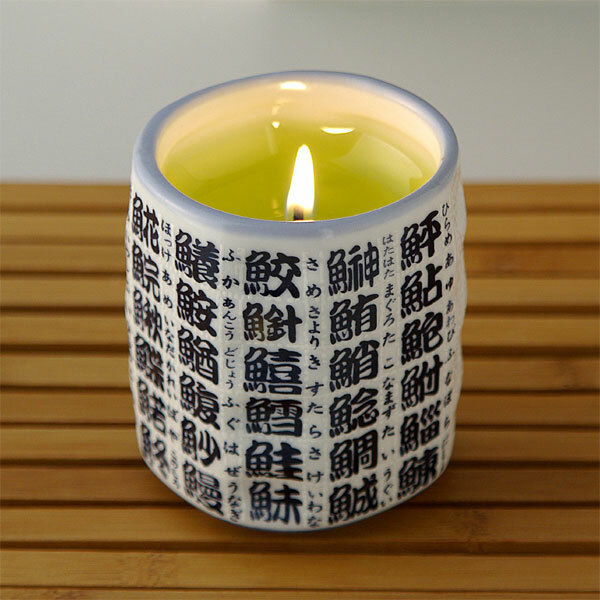 Furthermore, the candle has aromatic scents of tee. 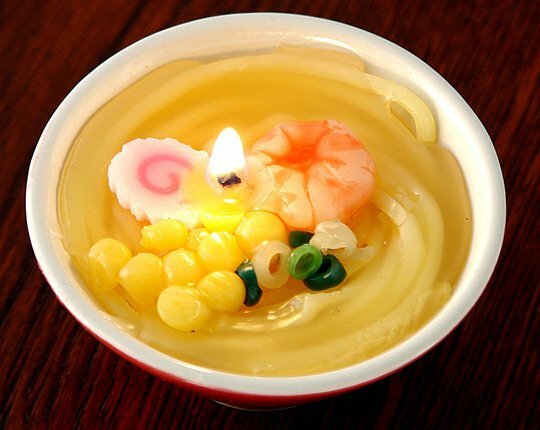 Apart from the fact that it is a miniature, the Ramen Candle is a fully accurate reproduction of a ramen soup bowl complete with noodles, corn, leeks, a shrimp and a naruto kamaboko which is a round slice of steamed fish paste with a distinct pink whirlpool design, used both for taste and to add color in ramen. 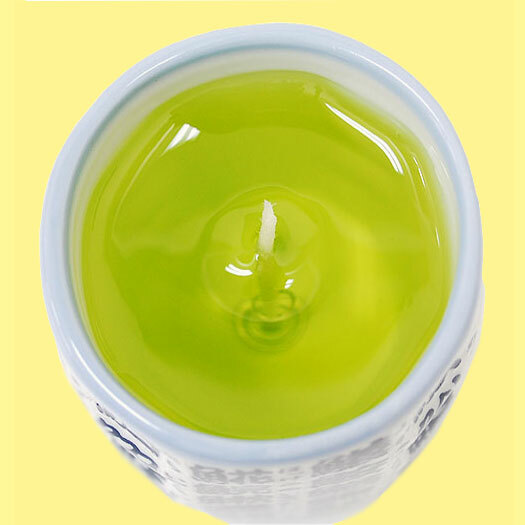 The ramen candle only lacks flavor of soup (the candle is odorless) and the actual taste (it's a candle, so don't drink it!). 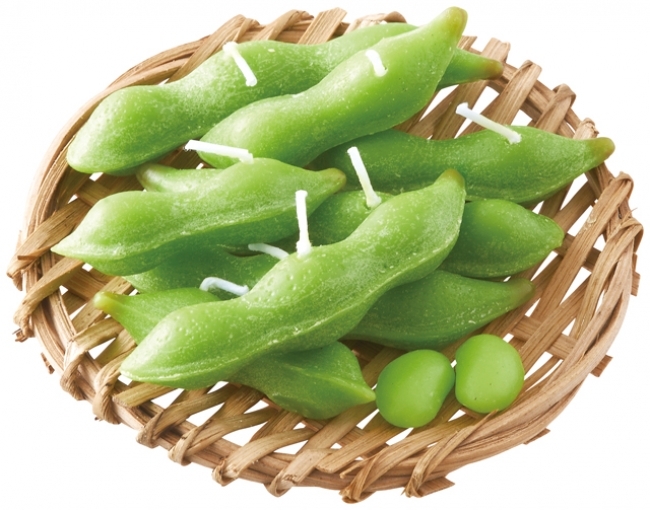 One of Japanese soul foods "boiled green soybeans" is called "Edamame" in Japanese. You’ll often eat Edamame beans with a side of beer at a izakaya (Japanese style pub) as a first dish. 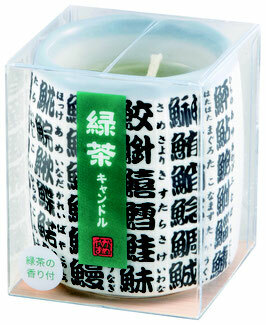 Lucky for you, the traditional candle and incense maker Kameyama provide it available to you always for your table! The ultra-realistic Edamame comes in various shapes and sizes each with its own wick. 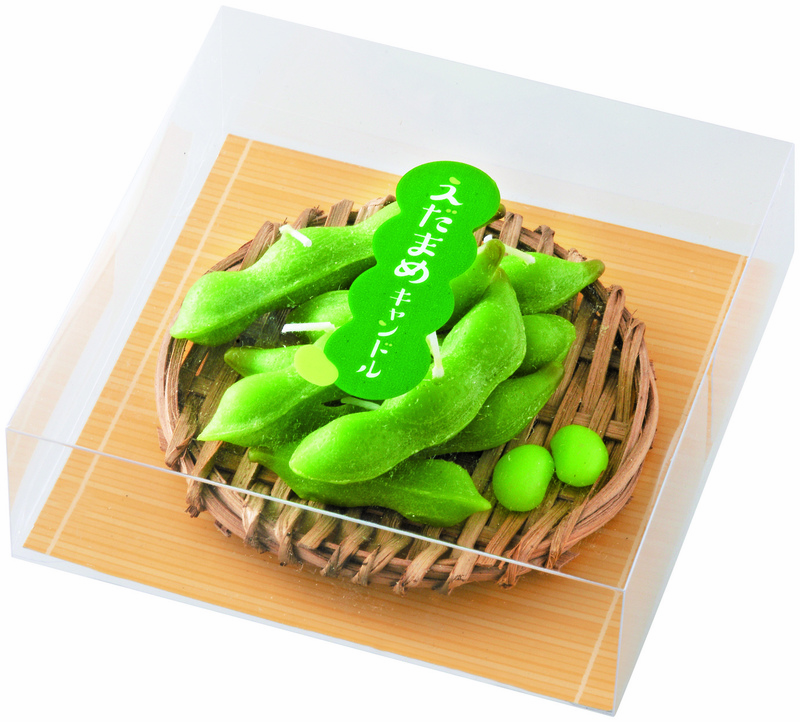 * Since the basket is made of real bamboo, don't burn edamame on the basket. By the way, why this new candle line is named "favorite treats"? 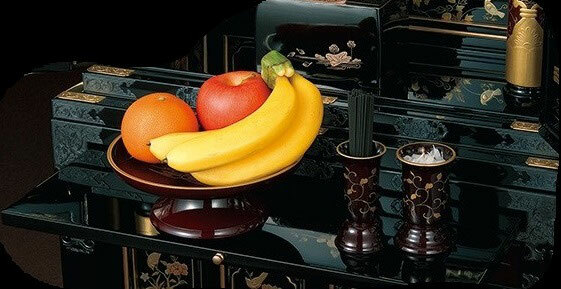 Japanese people serve gifts or favorite food of the deceased in side of the family Buddhist altar - ex. a cup of tea, fruits and sweets - with a candle and incense. 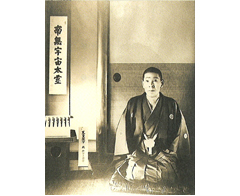 Many of the products made by Kameyama are not for just practical use but actually meant to serve as offerings to deceased loved ones in the Japanese Buddhist tradition. 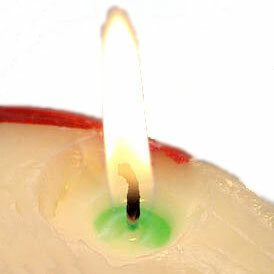 The concept behind their whole “favorite treats” candles line is that you can make an offering of a small candle in the shape of a drink or food that a departed family member or friend particularly loved. 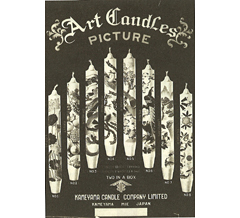 Meanwhile, these candles also become more popular item as collector items.